Był sobie król… Poczet Piastów, is the first part of a popular science book series on the history of our beautiful country. A series, which returns after being absent for many years, and returns with a new look to once again rule our shelves and home libraries to educate the youngest generations about our wonderful heritage – as an alternative to the boring school books. These books are intended for entire families, to be kept for life, as they teach and entertain people of all ages, presenting fascinating and interesting stories about our predecessors, starting from the times of legends, and ending with our last kings. Our history, presented in an easily digestible way with genius illustrations, enriched with hundreds of interesting facts turns out to be just as interesting as the best HBO TV series. The first book, Poczet Piastów tells the story of the first Polish rulers. Some of their adventures, antics and affairs are incredible and read like fiction… Yet, they are all real. The series was created by Mariusz Wollny, an author known for his series of crime book novels about private investigator Kacper Ryx, who lives in the 16th century Krakow and solves authentic criminal cases that grip the capital of the country and often even the entire Republic. The design of the new edition of the series (previous editions were published by Bellona in 1996 and 2004) was created by the daughter of the author, Zuza Wollny, who is as talented as her father. 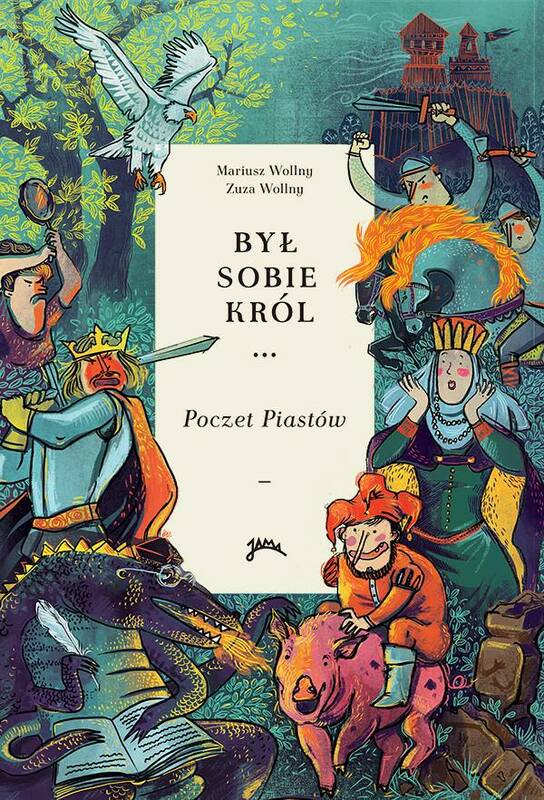 Her illustrations – beautiful, funny and sometimes even mysterious – illustrate the affairs and adventures of Polish dukes and kings. The series will comprise three additional books: Poczet Jagiellonów and Poczet Królów Elekcyjnych, which was not published to date, all published by “JAMA” publishing house, established by M. Wollny for the purposes of self-publishing. Book One of the first part in the series is available on-line for free. Just click here! The book was published in collaboration with Krakow – UNESCO City of Literature and the Krakow Festival Office.